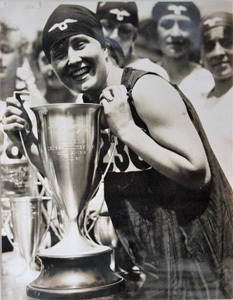 First run in 1905, the Dipsea is the oldest trail race in America. It is run every year on the second Sunday in June. The scenic 7.4 mile course from Mill Valley to Stinson Beach is considered to be one of the most beautiful courses in the world. The stairs and steep trails make it a grueling and treacherous race. And its unique handicapping system has made winners of men and women of all ages. Because of its beauty and challenge, it is a very popular event, and because of safety and environmental concerns the number of runners is limited to about 1,500. While racers enter from all over the world, the Dipsea is primarily a Northern California event and the entry process is tilted slightly to favor local contestants. Please see the section on How To Enter for details. 2019 Dipsea Foundation Scholarships available. : The Dipsea Race Foundation offers scholarships annually to outstanding young men and women who have participated in the Dipsea Race—either as a runner or a volunteer—and are graduating high school seniors. Visit the Dipsea Foundation website for more information. Dipsea: The Greatest Race, Centennial Edition: The Centennial edition of Dipsea: The Greatest Race, by official Race historian Barry Spitz, is a must for all who love the Dipsea. Completely revised from the original 1993 version, with new tables and photographs, many in color, the book tells the story of all 100 Dipseas, with supplements for 2011-2018. Results go up to 100 deep, so your name may be in it! Go to DipseaBook.com to order. 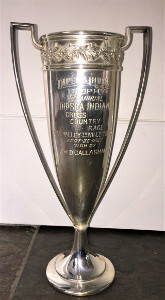 Lost and Found: The Story Behind The 1920 Dipsea Winner's Trophy: As the life of championship trophies go, the one that William O'Callaghan received for winning the 1920 Dipsea Race has had an up-and-down, hide-and-seek adventure symbolic of the race course itself. For something so rare, this 99-year-old Dipsea trophy has been rarely talked about. It's been lost and found in a bedroom near a garage in the Sunset District in San Francisco then lost and found again in an attic in Sonoma County. Read More Here! 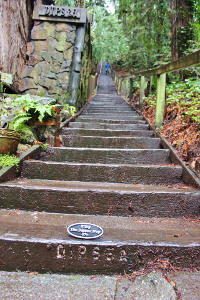 Dipsea Stairs Dedication Ceremony October 20: The Dipsea Race Foundation is hosting a special ceremony on Saturday, October 20, to officially dedicate the renovated second flight of the famed Dipsea Stairs in Mill Valley. 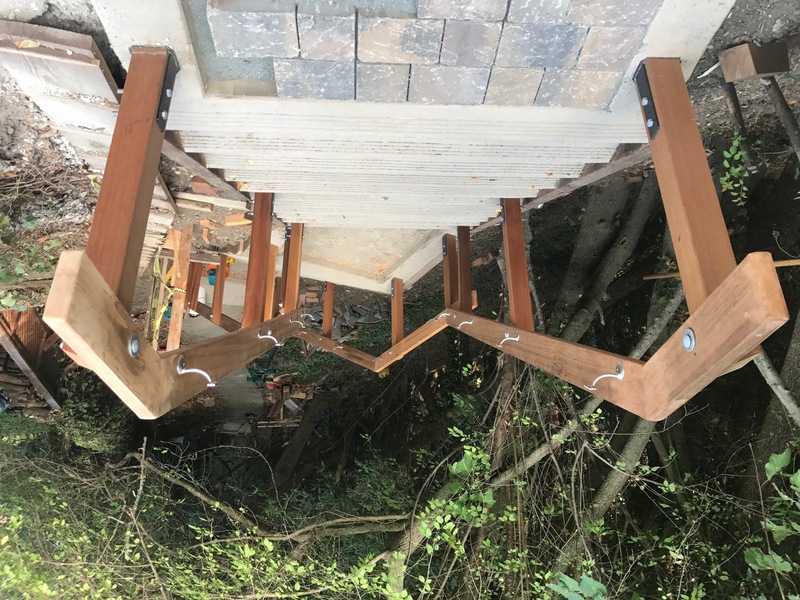 The ceremony will begin at 10 a.m. on Marion Avenue at the foot of the second of three flights totaling 680 steps rising from Old Mill Park to Sequoia Valley Road at Edgewood Avenue. The refurbished second flight, consisting of approximately 200 steps, leads to Hazel Avenue and the third flight. Read more here! 2018 Final Results are posted! : The final results of the 108th Annual Dipsea Race have been posted. You can view the results sorted by overall place, alphabetical order, or headstart group. Tim Amyx's 2018 Dipsea Race Recap! 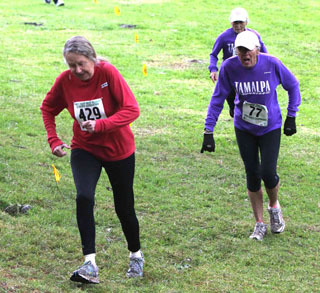 : Relive the 108th Dipsea Race with Tim Amyx's video to see who earned a Dipsea Survivor T-shirt at the end! Thanks to all the volunteers, participants, and people who make the Dipsea The Greatest Race! 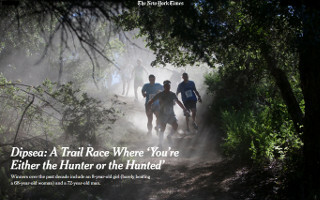 The Dipsea Race is in The New York Times! : NYT writer John Branch gives his entertaining first-hand account of his maiden voyage in the unique and historic race and up and down and around the Dipsea Trail. It's a must read! https://nyti.ms/2HLIeKZ. 2018 Dipsea Summary is posted! : For the second year in a row, Chris Lundy, a 47-year-old San Francisco veterinarian from Sausalito, outlasted 32-year-old Alex Varner of San Rafael and his record-tieing performance to win the 108th Dipsea race. Check out our summary of the 2018 Dipsea Race! Congratulations to Chris Lundy! : Congratulations to Chris Lundy on her second Dipsea win! Stay tuned for race results... we'll try to post them as soon as possible! Purchase photos of the Women’s Dipsea Hike! : Relive memories of the 100th Anniversary Women's Dipsea Hike, with professional images from the official Dipsea photographers. All profits from the sale of photos will go toward the Muir Woods Bridge project, an effort to build a permanent bridge across the creek on the route of the Dipsea Race. Longtime Dipsea Runner Barbara Robben to Participate in Women's Dipsea Hike: Longtime Dipsea Runner Barbara Robben will participate in next month's Women's Dipsea Hike. Click here to read more of her story! 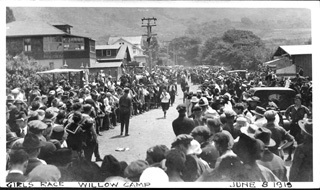 The History of the Women's Dipsea Hike: In anticipation of the 100th anniversary of the historic Women's Dipsea Hike, here's an article about the Hike's history and origins. Women's Dipsea Hike Registration: On Saturday, April 21st, 2018 to honor its centennial anniversary, the historic Women’s Dipsea Hike – started in 1918 and was the first ever cross country sporting event in the United States organized for women as its exclusive participants – is staging a ceremonial tribute hike along the Dipsea trail from Mill Valley to Stinson Beach. The untimed event, held on Earth Day weekend, is sponsored by the Dipsea Race Committee in partnership with One Tam and the Golden Gate National Recreation Area. 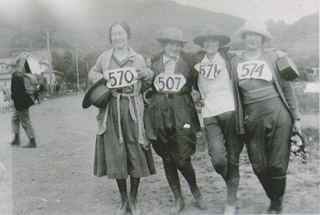 The application for this 100th anniversary of the Women’s Dipsea Hike will be posted for download on the Dipsea website (www.dipsea.org) this Saturday, February 3, at noon. The event hike will be limited to the first 500 participants. Following the event there will be a separate optional buffet luncheon with special guests. Reservations are required for the luncheon and due to seating restrictions the luncheon event will be limited to the first 100 reservations. Applications for the event must be downloaded, filled in and mailed to the Dipsea Race. Instructions and additional information will be available with the application upon download. Remembering Women's Dipsea Hike Pioneer Edith Hickman: To look forward to the 100th anniversary celebration of the Women’s Dipsea Hike on April 21 in the new year, Barbara “Bobby” Van Meurs and her daughter, Arianna, recently were delighted and enlightened to look back through scrapbooks created and stories told to the time when their mother/grandmother, Edith Hickman, was the first champion of the hike and a lot more. Click here to read more! 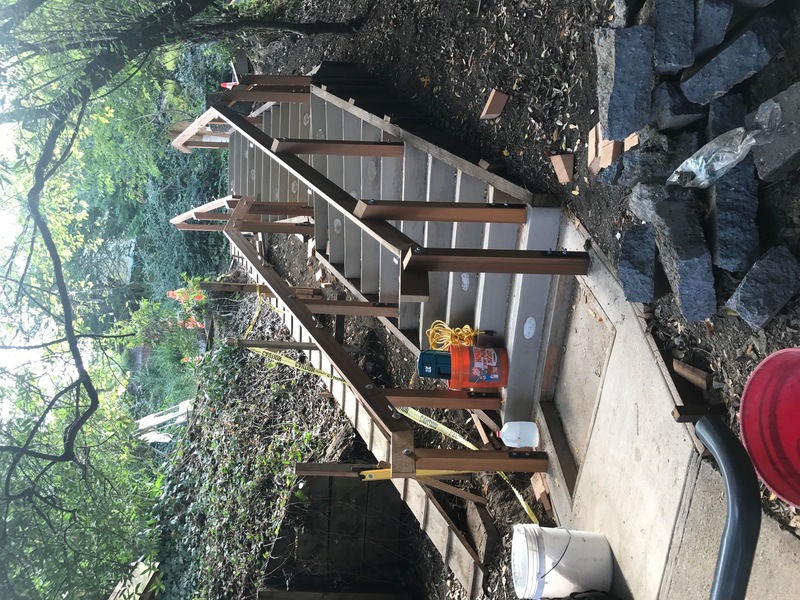 Dipsea Stairs update: The rebuilding of the second flight of the Dipsea Steps is continuing. Completion is expected to be sometime in October. However, a temporary stairway has been constructed to allow egress along the steps. Click the photos for a larger picture. More Details about the 100th Anniversary of the Women's Dipsea Hike! : We're working on more details on the celebration of the 100th anniversary of the Women’s Dipsea Hike on Saturday, April 21, 2018. Click here for more information! 100th Anniversary of Women's Dipsea Hike on April 21, 2018: Save the date of April 21, 2018. 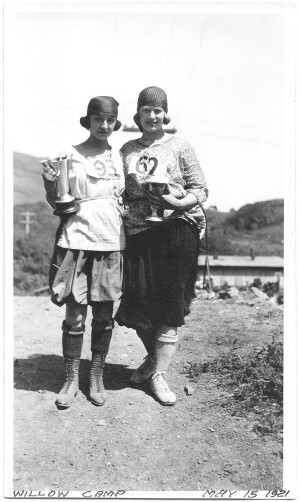 The Dipsea Race is going to honor the 100th anniversary of a momentous pioneering event – the Women’s Dipsea Hike – exactly 100 years to the date of the very first one on Saturday morning, April 21, with a special women’s-only tribute walk/run over the Dipsea Trail beginning at Old Mill Park in Mill Valley and ending in Stinson Beach. Click here for more information! Final Results are posted! : The final results of the 107th Annual Dipsea Race have been posted. You can view the results sorted by overall place, alphabetical order, or headstart group. Tim Amyx's 2017 Dipsea Race Recap! : Tim Amyx has posted his recap of the 107th Annual Dipsea Race. Watch it here! Preliminary Results are posted! : The preliminary results are posted. Note that the results may change slightly in the coming days. You can view the results here or view the 2017 Race Summary here. Congratulations Chris Lundy! 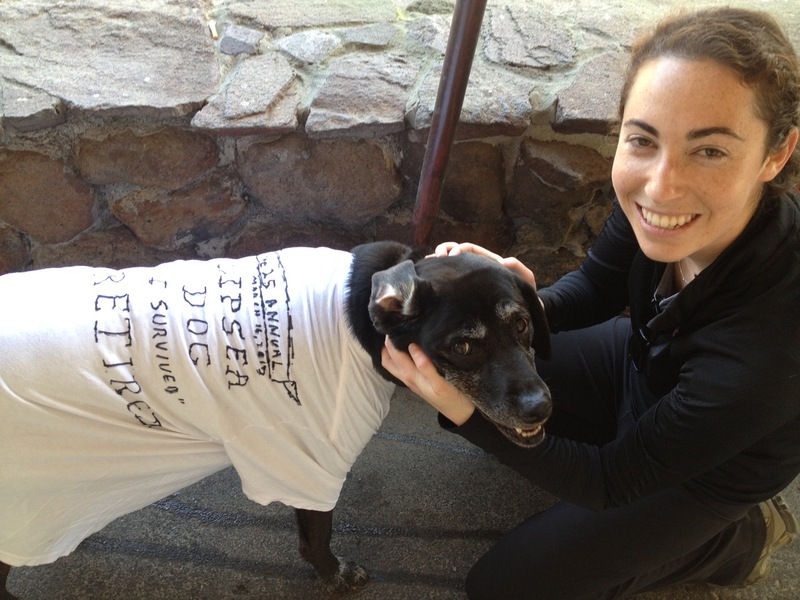 : Congratulations to Chris Lundy on her first Dipsea win, and to all Dipsea Race finishers! We will try to get the results posted as soon as possible, so please be patient! Jack Kirk's Last Race - Video: 2017 is the 50th anniversary of Jack Kirk's second and last Dipsea win, and 10 years since he passed away at age 100. Drow Millar made this touching video of Jack Kirk's last Dipsea appearance. Jack Kirk's Last Race 2006 from Drow Millar on Vimeo. Riley the "Dipsea Dog" Honored on Dipsea Steps:: This is the time of year that we traditionally count our blessings and give our thanks. This then is the perfect time to tell you about a caring man and an inspirational dog and how the Dipsea Trail and Dipsea Race connects them. This is not a dog and pony show. After Thanksgiving, Craig Sultan of Mill Valley has invited a group of close friends to meet with him at the bottom of the second flight of the famed Dipsea Stairs for a special ceremony for his dog, Riley. Click Here to read the full story! Dipsea Race Day Photos! : Tina Humphrey has posted hundreds of photos from Dipsea race day, including photos at the start, at the finish, and at the award ceremony. You can see them here! Video of Top 100 Dipsea Finishers: Paul and Tina Berensmeier shared this video of the first 100 finishers of this year's Dipsea Race! 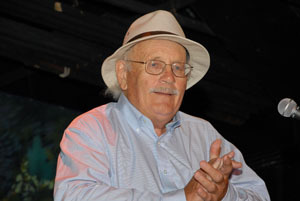 Jerry Hauke passes away: The Dipsea Race Committee and the Dipsea Race Foundation mourn the loss of Dipsea Hall of Famer and DRF Emeritus Director Jerry Hauke – a Dipsea legend and the man most responsible for saving the historic trail race from possible extinction. Jerry died in his sleep on Thursday at his home in Weaverville. Jerry was a member of the Mill Valley Falls Arts Festival who created the Dipsea Beer Booth in Old Mill Park. In 1963, as a member of the Mill Valley Chamber of Commerce (later known as MV Jaycees), Jerry stepped in to rescue the race after the previous race organizing group withdrew its sponsorship. Jerry also intervened in 1977 when the town of Stinson Beach and County of Marin threatened to end the race if changes were not made. Hauke led construction of an alternate trail on the race route – dubbed Hauke Hollow – and has a Dipsea Race award – the Red Tail Hawk Award, also named the Jerry Hauke Perpetual Award for Sportsmanship, Leadership, and Dedication– named after him. Hauke Park in Mill Valley also is named in Jerry’s honor. Our heartfelt condolences and prayers go out to the Hauke Family. A memorial service is pending. Dipsea Course Preview by UltraSportsLive.TV! : UltraSportsLive.TV has produced a Dipsea Race course video preview! How To Get In The Dipsea If You Can't Get In The Dipsea...: Many Dipsea runners and Dipsea wanna-be runners have lamented the fact that it's so difficult to get into the race. So we've written a short essay on how to improve your chances of getting into the race. Results Database online: Dipsea fan David Bronstein has created a great resource for the Dipsea website: a searchable results database with all of the Dipsea results from 1996 to present. Check it out here. Course Page Updated: We've updated the Course Page on our website, including detailed photos to help first-time Dipsea explorers follow the race route. We're on Facebook: If you're on Facebook, check out our page there and become a fan of the race to get up-to-the-minute updates to your news feed. Click Here to become a fan! Answers to your questions: We've added a Frequently Asked Questions page to the website which addresses most of the questions we get throughout the year. Marin Independent Journal Coverage: Once again, the Marin Independent Journal has complete coverage of the Dipsea Race in print and on its Web site, www.marinij.com. On race day, check the site for complete results, a photo slideshow and up-to-the-minute commentary and analysis from Mill Valley, Stinson Beach and all points in between. Past Race Info Now Available: Ever wonder how fast you need to run to qualify for Invitational? Or how far out of your grasp one of those spiffy black shirts are? Or perhaps you just want to find out how "elite" a Dipsea finisher really is... Well, your prayers have been answered, as we've added a table of historical times to the Previous Races page.